Higher housing costs, lagging construction, and the rise of high-end single-family homes has made affordable housing a big challenge for Colorado, a state that is otherwise outpacing the rest of the nation economically. According to a report from the Wells Fargo Securities Economics Group that outlined the factors in the rapidly accelerating economy of the Centennial State, the state received less of a lift from domestic net migration, with the state's popularity slipping among those that chose to move there. It slid from the third largest gainer from domestic migration in 2015 to 11th in the last one year, the Wells Fargo report indicated. The slide, the report said, was likely due to the higher housing costs in Denver. Domestic migration accelerated in states with more affordable homes for sale, such as Arizona, Idaho, and Nevada in the West; as well as North Carolina, Georgia and Tennessee in the South. 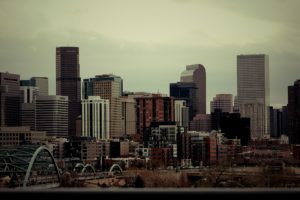 The Mile High City, "served as a beacon for millennials in particular, as the metro area’s 20 to 34-year-old population grew by 83,162 from 2010 to 2016, which was the tenth largest gain in the nation," the report revealed. However, that growth fueled a boom in the construction of luxury apartments that accounted for most of the price increases that the city has witnessed recently. Looking at the future, the report said that Denver's attraction for millennials could be hampered by these skyrocketing costs in housing. "Affordable housing is in extremely short supply. Housing remains an enormous challenge in Denver and much of the Front Range," said Mark Vitner, Senior Economist for Wells Fargo Securities and the author of this report. "Construction has lagged population growth, and much of what has been built has been luxury apartments or high-end single-family homes." Despite the challenges posed by the housing market, Colorado, the report found has the fifth fastest growing job market in the U.S. and is only behind Utah, Idaho, Nevada, and Texas. "The state has seen an influx of tech companies from California in recent years and is also home to many rapidly growing start-ups. The growth in the tech sector has helped draw in young college graduates, making the state a magnet for millennials," the report indicated. Next: Will Stable Mortgage Rates Spur Home Sales?